Usage: Used for Agricultural purposes to save the crops or grains from damage. Application: To protect agriculture from sunlight, rain etc. We have wide range of PVC Coated Tarpaulins. We have wide range like 500gsm, 600gsm, 675gsm, 765gsm & 800gsm PVC fabrics. 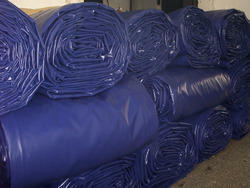 We have inhouse facility for making Tarpaulins. We have German machines for making Tarpaulins. We are leading Manufacturer of Agricultural Tarpaulin from Gandhinagar. 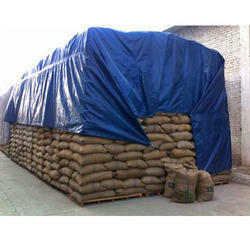 In order to retain our goodwill in this industry, we are providing a qualitative array of HDPE Agricultural Tarpaulins. We have carved a niche amongst the most trusted names in this business, engaged in offering comprehensive range of Agricultural Tarpaulin.